There has been mixed reaction to the report from the GAA Central Council working group, which proposes the completion of all fixtures in a calendar year. If approved, this will operate from 2016. The report argues that the recommendations will enable counties and provinces to complete their competitions in sufficient time for the All-Ireland Club Championships in junior, intermediate and senior by December. – All club championship games to have a second period of extra time of five minutes a half, if required. – CCCC to bring forward a proposal for how the club finals on St Patrick’s Day could be replaced with league games in hurling and football, featuring the All-Ireland champions of the previous year. According to the report, there are a number of reasons for the recommendations. Only four football and two hurling teams will remain in the All-Ireland Senior Championship by July 31 which leaves “little excuse for most counties not starting and finishing their club championships in good time”. The committee argues that by structuring the provincial club championship draws so that clubs from the counties still in the inter-county championships in August are not required in the early rounds of the club competitions, should help “address the problems faced by the successful counties in completing their club programme”. By scheduling All-Ireland final replays for the following weekend, “a further impediment to a timely completion of county championships by All-Ireland finalists will be removed”. The report further argues that “A calendar-year fixtures schedule would make it easier for counties to schedule their championships on definite dates and encourage counties to play games during the summer months”. The report further states that “Completing the club championship within a calendar year would, in turn, allow all counties to field their best teams in the national leagues. It renders unnecessary winter training for clubs that qualify for the semi-finals of the All-Ireland Club Championships, meaning financial savings, as well as being in the best interests of the players themselves. The provision of a break at year-end would be fairer to provincial club champions when they come to defend their county titles”. Clare hurler Conor McGrath, a prominent dual player with his club Cratloe, gave a broad welcome to the proposals. 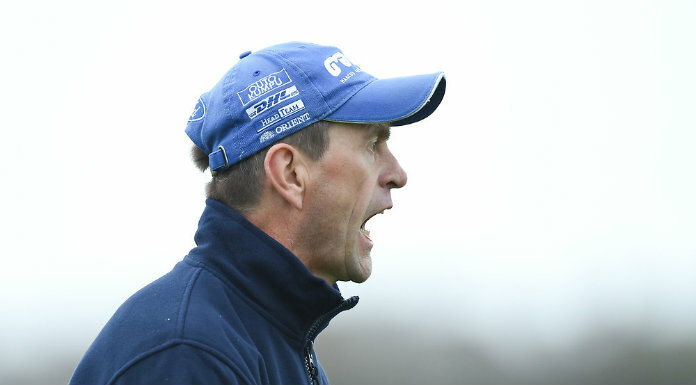 He believes it is possible to bring the All-Ireland senior inter-county finals forward by a week, noting that, at present, there is a three or four-week gap between the semi-final and final. McGrath also supports the proposal to have an All-Ireland final replay on the Saturday after the drawn game. “Three weeks is too long a gap from the drawn to the replayed game,” he noted. Commenting on the proposal to have a second period of extra time (two five-minute periods) in club games, if needed, he said it should depend on the circumstances of the teams involved. While not opposed to completing all competitions in the calendar year, he has concerns about weather conditions in mid-December, which is the proposed date for the club finals. Clare senior football manager Colm Collins, who is also the manager of county football champions Cratloe, while giving a broad welcome to the proposals, said it would be difficult to give a more detailed view until the plan is activated. “As the current structures apply in Clare, there would have to be at least two rounds of both the senior hurling and football championships played early in the year if it is to work,” he told The Clare Champion, adding that he has reservations about the timing of the All-Ireland club finals because of the weather conditions in December. Clare hurling selector Louis Mulqueen said he does not have any objection to having the All-Ireland replay on the following Saturday. Mulqueen also agrees with the proposal to switch the club championship finals to the end of the calendar year but stressed that “inter-county players involved must be given a break before resuming action in the new year”. Having trained St Joseph’s Doora-Barefield to successive All-Ireland club finals, he recalled, “There was a long break of 12 weeks between our Munster final win and our All-Ireland semi-final. It’s very hard to get back to the pitch required after a 12-week break”. The suggestion that teams from counties involved in the All-Ireland semi-finals and finals not enter the club competition until a later date does not meet with Mulqueen’s approval. “It doesn’t give parity and any changes should have equity,” he noted. According to the report, the changes will lead to greater exposure for the concluding stages of the club championship, as they will not be competing with the national leagues. “The calendar year fixtures schedule will ease the fixtures pressure in the busy first quarter of the year,” it noted. It also argues that “bringing forward the dates of the All-Ireland finals will mean earlier elimination from the championships and give counties more time to play their championships in better weather”. It claims that it proposes “nothing more radical than the All-Irelands moving forward one week and this proposal will have minimal impact on existing practice”. The changes are being proposed for a two-year trial basis. The working group was chaired by Liam O’Neill (GAA president) and included Padraig Duffy, Niall Ó hEarscáin, Donal Óg Cusack, Brian Quinn, Stephen Donnelly and Fergal McGill (secretary). It is expected the proposals will be discussed by all county boards across the country in the coming weeks, before a final decision is taken on whether or not they will be implemented.